These days, more viewers than ever are choosing to cut the cords and get their TV fix from online streaming services – and it’s not hard to see why. Many of the best streaming services have extensive online libraries to suit all tastes, competitive pricing and the ability to stream whenever you want. 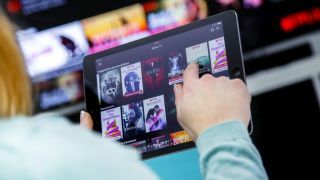 It’s no surprise TV streaming services continue to grow at an exceptional rate and more people are now moving on to cord cutting streaming options. There’s no trade-off for quality here either. The likes of Hulu and Netflix feature much of their own, original content, as well as lots of classic television that’s been licensed from cable TV counterparts. Right now the competition is fierce. You’ve got your cable alternatives, like Netflix and Amazon. There’s also HBO Now for your Game of Thrones addiction, and if you're a wannabe cord cutter that needs live TV without big monthly bills, Hulu, YouTube TV and Sling TV can replace it. The big news in streaming services is that Disney is set to shake up the scene soon with Disney+. The new Disney owned subscription service will be sure to host a big helping of Marvel, Star Wars and a host of other content. To help you choose from the best TV streaming services out there, we've put together this guide to the essentials and how to finally cut the cords to your TV and go completely online with your streaming. Since launching its own content in 2013, Netflix's originals library has swelled to an enormous size, boasting dozens of award-winning shows including Stranger Things, Orange is the New Black, The Crown, Master of None, House of Cards and a bunch of Marvel shows like Luke Cage, Daredevil and Jessica Jones - you can see our pick of the best Netflix series in the US. The impending launch of Disney+ looks set to take a good chunk of Disney-owned properties off the service, though – Disney own LucasFilm, Marvel, and Pixar, after all – so the library might start feeling less colorful pretty soon. Subscription costs have just gone up by $1-2 a month, with the basic plan at $9, HD plan at $13, and 4K Premium plan at $16. But don't forget you can also give Netflix a spin with the 1-month free trial to see if it's worth your money. Amazon and Netflix are two sides of the same coin. That's not to say they're identical – they're not – but the differences are few and far between. Like Netflix, Amazon Prime video has its own set of original series - Transparent, The Man in the High Castle, and Mr Robot among others - but, generally speaking, they don't receive the same fanfare as their Netflix-bred brethren. Although Netflix is as guilty as dud programming as the rest of them, it's worth mentioning Amazon Prime does get some pretty terrible new additions from time to time. So always check out guide to the best Amazon Prime TV shows before you dive in head-first. The two big differentiators between the services are the fact that access to Amazon's streaming service comes standard with a subscription to Amazon Prime – meaning access to Amazon Music and premium delivery services – and Amazon has its own proprietary set-top box, the $69 Amazon Fire TV. As far as its cost, a subscription to Amazon Prime will run up around $10.99 per month, just under Netflix's basic plan, though there's also a 30-day free trial so you don't have to pony up any money when you first start. Prime Instant Video is available for PC and Mac, the Kindle Fire HD, iPad, Xbox One, PS4, internet-enabled TVs and Blu-ray players, Sony's Home Cinema system, Sony's Network Media Player and myriad other minor devices that will go unmentioned. Check out the prices of Amazon Prime Instant Video on its website. Video streaming service Hulu offers big-name titles like The Simpsons, Saturday Night Live, and South Park alongside a huge number of titles from NBC, FOX and Comedy Central. It's also the only streaming service app on the Nintendo Switch aside from the newly-included Youtube app. Hulu comes in two flavors: the standard on-demand streaming service you've always known and loved, and the new Hulu with Live TV -to learn more you can read our full Hulu review here. The former works well and is well worth its cost of entry – especially since Hulu's price cut brought the monthly subscription to only $5.99. Sure, it'll air with a few advertisements, but it's nothing you're not used to coming from traditional cable. On the homepage you'll find highlighted shows based on your past visits to the site as well as curated content from Hulu HQ. This includes game trailers, new movie trailers, popular clips from last week's new episodes as well as a few themed playlists. You can sign up for a free trial on its website. The other option on the table is Hulu with Live TV, a cable alternative that will run you around $40 a month – which is, unfortunately, limited to the US. The service lives up to its name by offering you a bevy of live TV channels and 50 hours cloud DVR service and two simultaneous screens. This is a bit less than the next contender on our list – YouTube TV – which offers more screens and unlimited DVR space. Unlike some of the other options on this list, PlayStation isn't exactly synonymous with TV streaming. But the giant of gaming has stepped out of its comfort zone and taken a leap into the world of TV, quite successfully we might add. Launching PlayStation Vue way back in 2015, PlayStation has been trying to compete with the big names of streaming like Netflix and Hulu for a few years now but until recently, the service hasn't had much to offer. Jump forward to 2019 and PlayStation Vue has become a competing force in the cord-cutting scene. Offering a range of packages from basic live TV to premium channels including HBO, Showtime and NFL Redzone. And not just for PlayStation owners, either. PlayStation Vue is one of the more fluid options on this list in terms of devices you can use, allowing for up to five simultaneous streams on a huge variety of platforms. It combines this with one of the best interfaces available and a huge variety of channels. But unfortunately with all these features comes a price tag on the higher end of TV streaming services. Ask someone what they think was the biggest internet revolution of the 21st century and they'll probably say it was YouTube. And with good reason – the user-generated video-blogging site has changed the online landscape forever. A subscription to YouTube TV is on the expensive side at $40 a month, but you're treated to a fair amount of content – around 60 channels replete with cloud DVR functionality. The service is available only in the US for now, however, and even here it's only available in around 100 markets around the country. Still, if you're lucky enough to be in one of those areas, it's the best live TV streaming service out there right now. Game of Thrones, The Wire, Silicon Valley - what's not to love? As a streaming service with ties to more traditional broadcasting models, HBO Go requires you to have a paid cable subscription to access its content. If you've got one of those, subscribing to HBO Go is an absolute no-brainer – it's free for you! Go on, download it right now and put our word to the test. Sling TV is a kind of cure-all for the cord-cutting generation, something that we knew we needed but no company stepped up to make. That said, it's everything cable's not. It's affordable. It's no-obligation. And there are absolutely zero sales reps trying to stop you from cancelling your contract. Best of all, you won't have to give up some of the perks cable provided in the last few years like the ability to pause live TV or watch something that aired up to 72 hours ago. If the included channels aren't enough, Sling TV sells nine add-on packages for $5 a month that add around five channels each and focus on a particular theme (International News, Latino Programming, etc...) . Sling TV makes it in to our best sports streaming sites guide, too. While you won't find genre staples like Dragon Ball Z, Digimon or Pokémon around, most of the site's 200-plus series are available to watch for free in SD, typically prefaced with a 20-second advert. Watching any content in full 1080p HD requires a $6.95 monthly subscription to the service, just be sure to check out the 14-day free trial before you begin. It's not traditional by any means, but you'll find plenty to see and do on Twitch. Best of all the app is free on almost any platform you can think of: iOS, Android, Xbox One, PS4, Chromecast, Amazon Fire TV … you name it, it probably has a Twitch app. You can read more about Twitch here. Second-to-last on our list are iTunes and its Android counterpart, the Google Play Store. Every other entry on this list has one factor going for it – it's either free or offers a buffet-style, all-you-can-stream option. Apple and Google's primary storefronts don't offer that. Payment is always done per title – which makes sense when you want to stream, say, the latest movie once per month – but is one of the most illogical ways to consume media if you plan on binge-watching anything. iTunes isn't perfect, we'll admit. It's a little bit clunky and slow at times, while Windows aficionados will baulk at the need to install Apple software just to get access to something you want to watch. Conversely, the Google Play Store will have you shelling out $3.99 for an SD version of a film that came out years ago, even if it's available elsewhere for free. To take a look through what Crackle has on offer, go straight to its site.